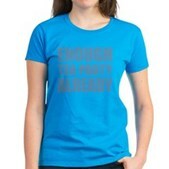 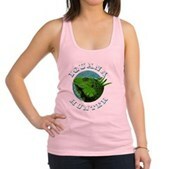 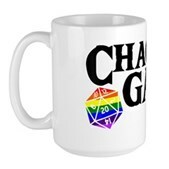 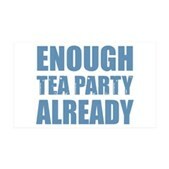 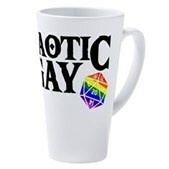 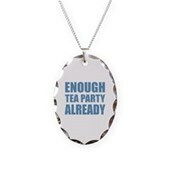 A simple text design with a play on the ridiculous Tea Party slogan. 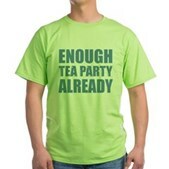 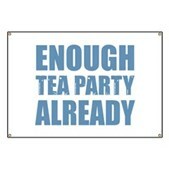 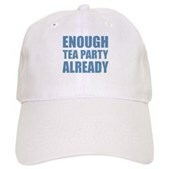 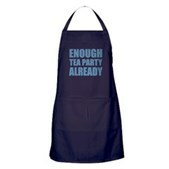 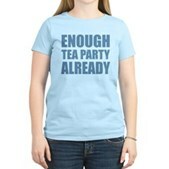 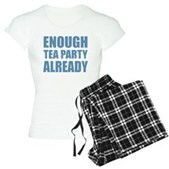 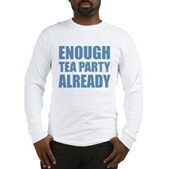 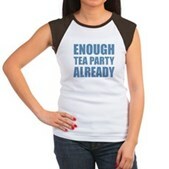 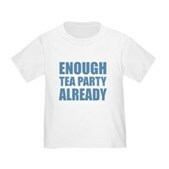 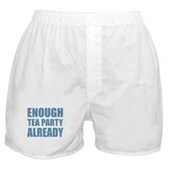 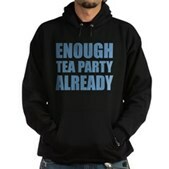 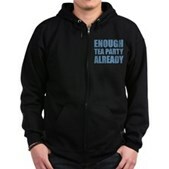 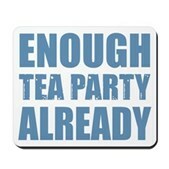 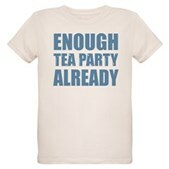 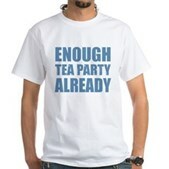 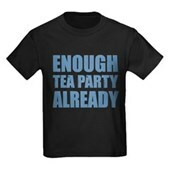 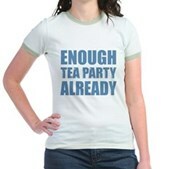 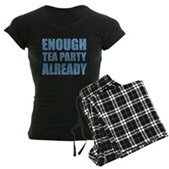 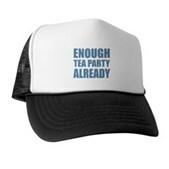 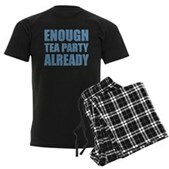 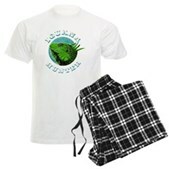 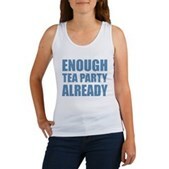 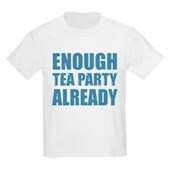 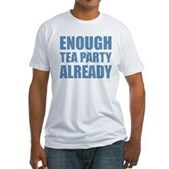 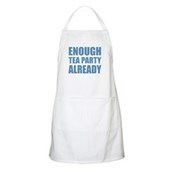 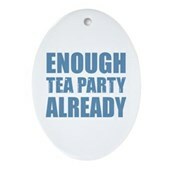 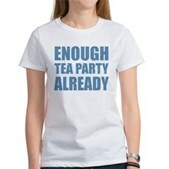 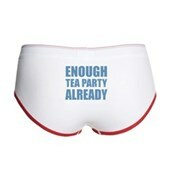 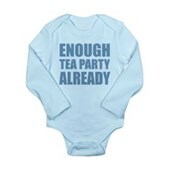 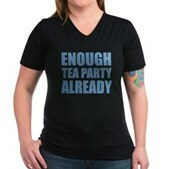 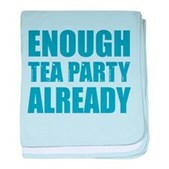 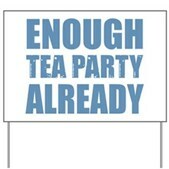 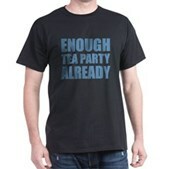 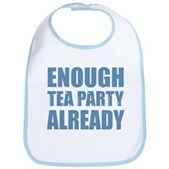 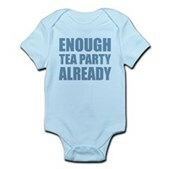 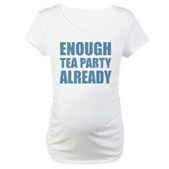 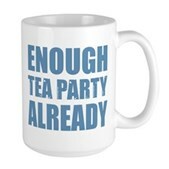 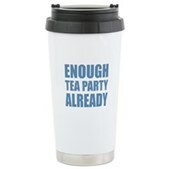 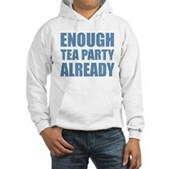 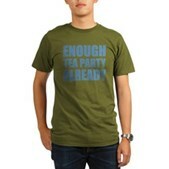 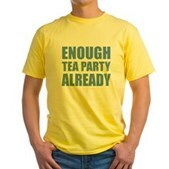 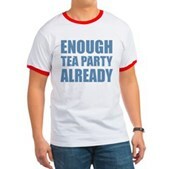 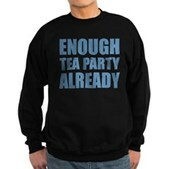 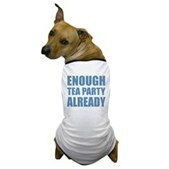 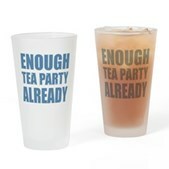 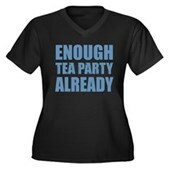 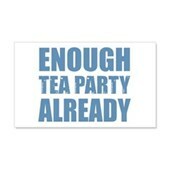 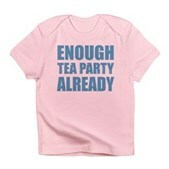 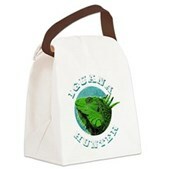 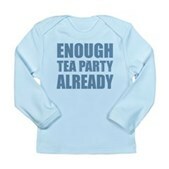 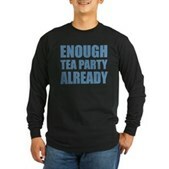 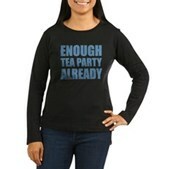 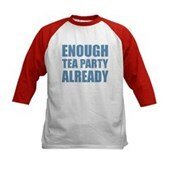 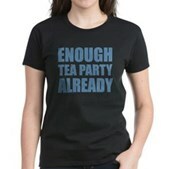 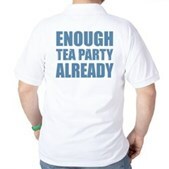 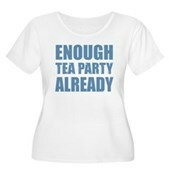 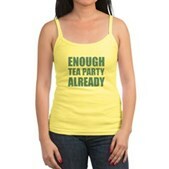 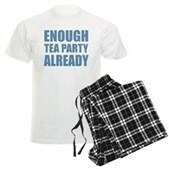 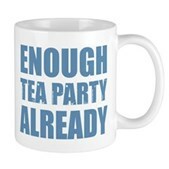 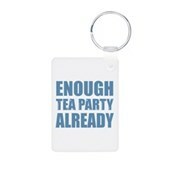 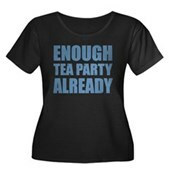 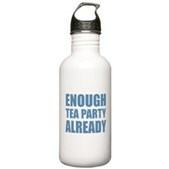 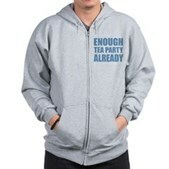 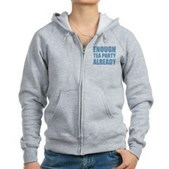 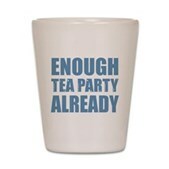 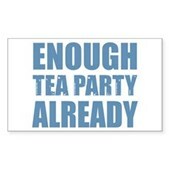 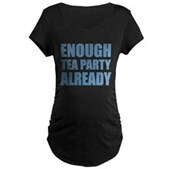 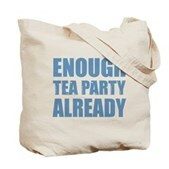 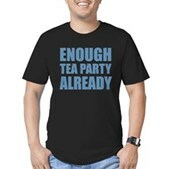 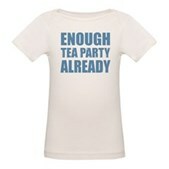 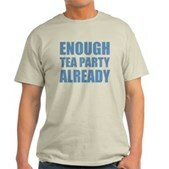 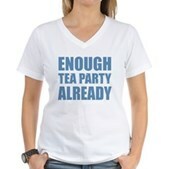 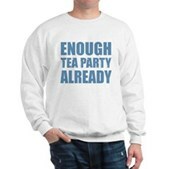 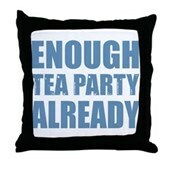 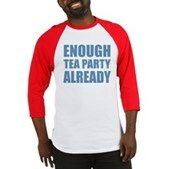 They say "taxed enough already" - I say: Enough Tea Party Already! We've got to get rid of these bums. 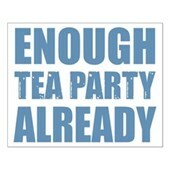 And another thing: Tax the rich already!